We all know that summer is right next to spring and even though we don’t still feel the spring season some companies, especially my husband’s employer is getting ready for the years awning, and tenting works. Last year, they weren’t too busy at work, however, it will be opposite this year, that way it’ll be more income to come in the company as well as good benefits for the employee as well. 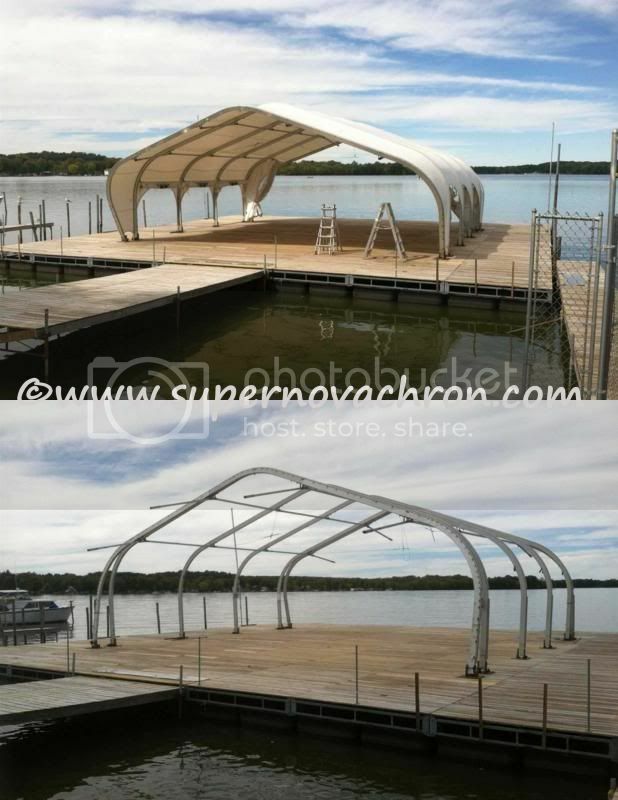 This is one of the tents my husband did last year, he sent me a picture of a before and after on the floating stage. It looks skeleton when there isn’t any cover. I am sure this year; they’ll put up the cover of that stage again due to the Chautauqua County’s activities. Wow, that looks like it was a chore! I imagine it's not easy to cover it with the tarp/cover/canvas..
Must be nice to know how to do those kind of work, you can basically do home improvements with ease. Sounds like that place in Jamestown? It's a big tent! It is one awesome tent they built. That is good to hear that this year will be a good one for them. I would love to have a tent in our backyard. Summer here in Texas can be brutal.